These three-season booties, crafted in rich leather, are perfectly pre-distressed and detailed with a side cutout. 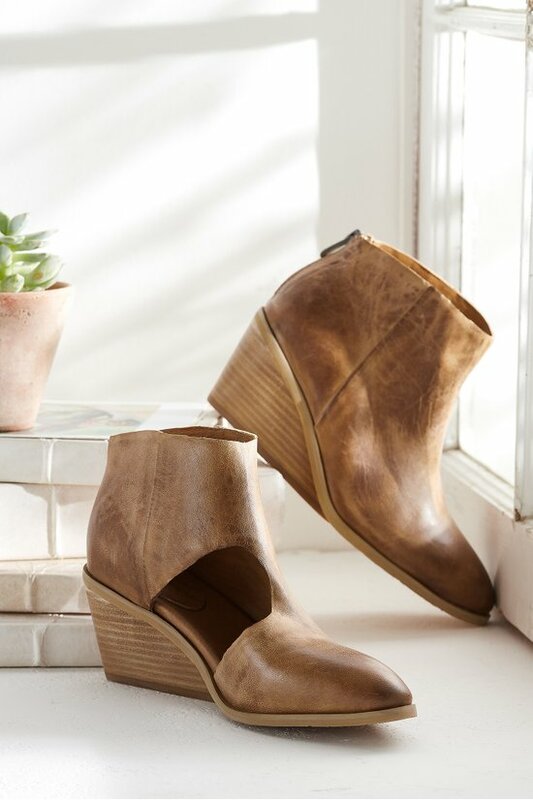 A max-impact look from the stacked wedge and back zip to the rounded toe. 2-3/4" heel.